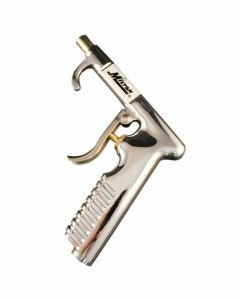 Milton's original S-163 Pistol Grip Blow Gun is an economical staple pneumatic tool for your garage or workshop, designed with a slim 4” extended bent tip nozzle customized for those hard-to-reach spaces. 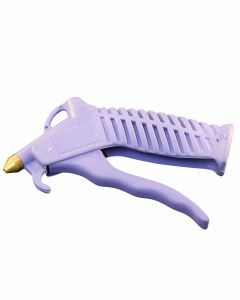 This blow gun allows for quick and easy removal of unwanted debris, with a pressure range of 60 to 90 pounds per square inch and 13 SCFM. 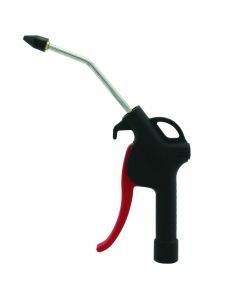 The body of this blow gun not only offers a molded grip for comfort, but also provides multiple storage options. 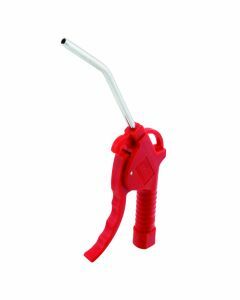 Hang this simple tool in your garage or workshop using either the hang loop on one side of the blow gun body, or the integrated hang loop on the other. 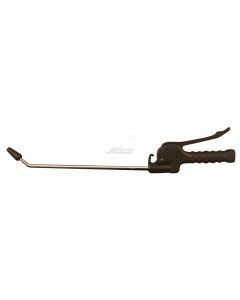 The ¼” NPT brass air insert offers a secure fit onto air hoses.